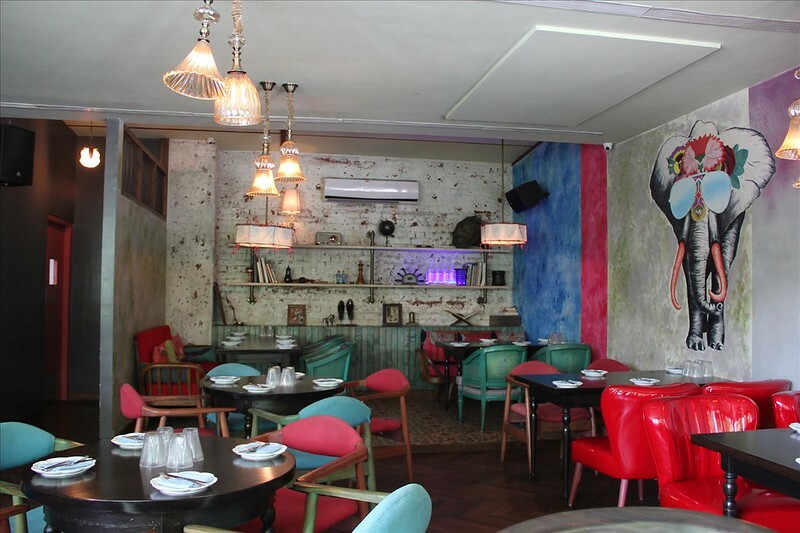 ‘Ek Bar’ – the place we can never say no to – launches a new seasonal menu of flavorsome India inspired plates and cocktails made from homegrown ingredients that are to die for! 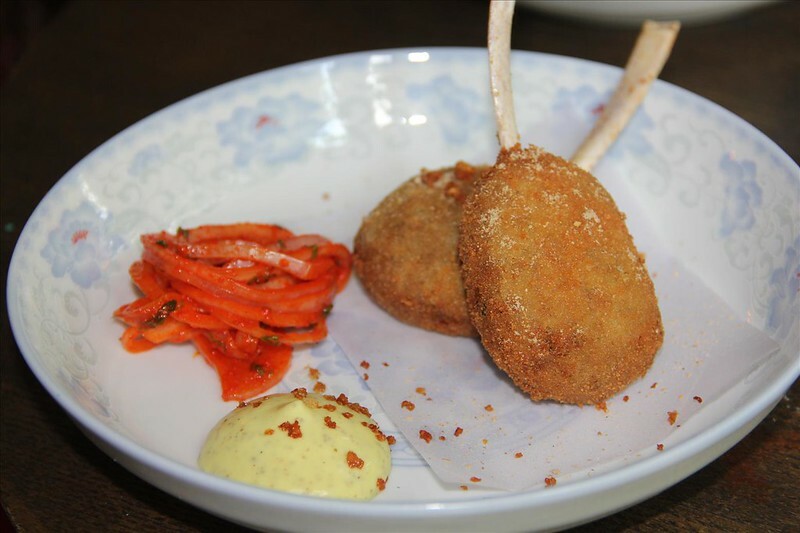 Mutton cutlets, which are a visual treat – are crispier on the outside and juicier on the inside – the mustard mayo and spiced onion just take it a notch higher. 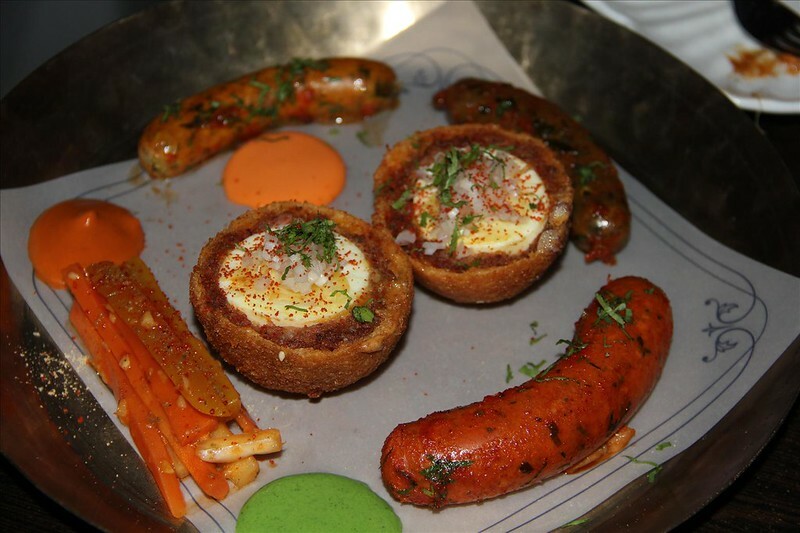 Do try the Sausage thali if you are not able to decide on the meat you want to eat – malabari prawn sausage, spicy pork sausage, chicken tikka sausage and goan chorizo scotch egg – cover all ends and give you an all-in-one option to satisfy those cravings. 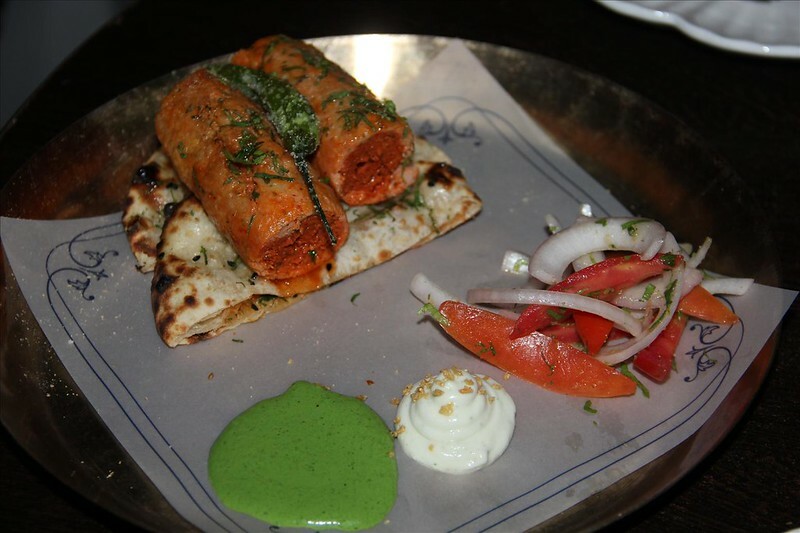 Noori seekh Kebab is another dish that does a lot to satisfy your craving for meat – minced chicken and lamb seekh kebabs, served with garlic naan, masala onion and an amazing garlic toum. 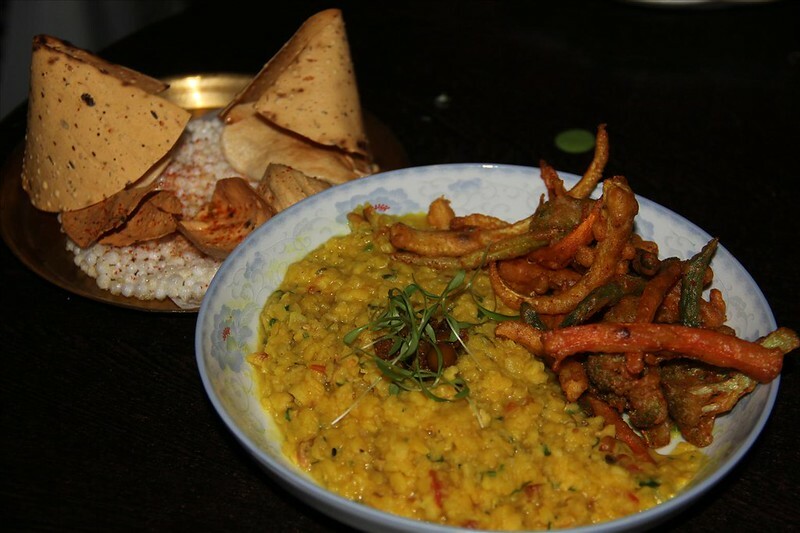 Popcorn Khichdi is something that you must try here – loaded with amritsari batter fried vegetables, assorted papad and pickle, this surely beats any khichdi (whereever available 😉) hands down. The taste of the popcorn is prevalent and you can’t stop yourself praising the efforts made to convert this movie time favorite to a dish. 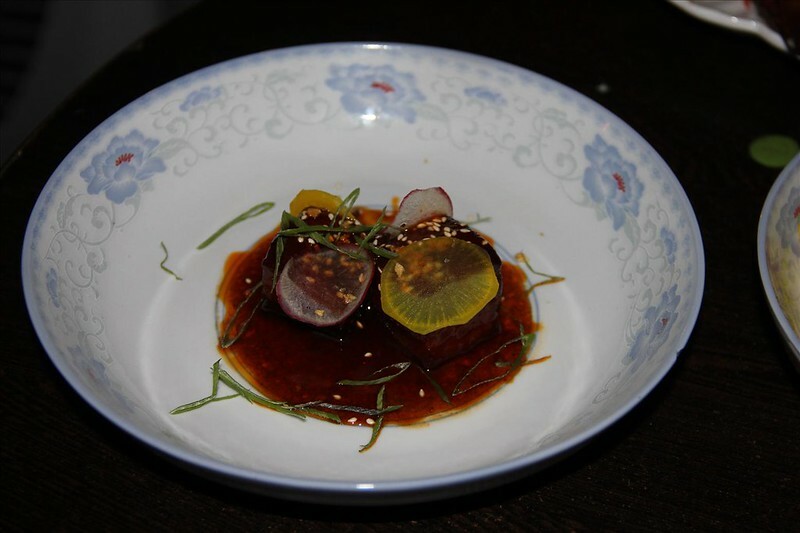 Barbeque Pork Belly is a dish we can have every day here. Not a fan of BBQ sauce, but this one’s different – the crisp skin and the smoky flavor, bliss! Gunpowder Crusted Grilled Tilapia is served with an Alleppey sauce (made of green mango and coconut) and garlic mashed potatoes. 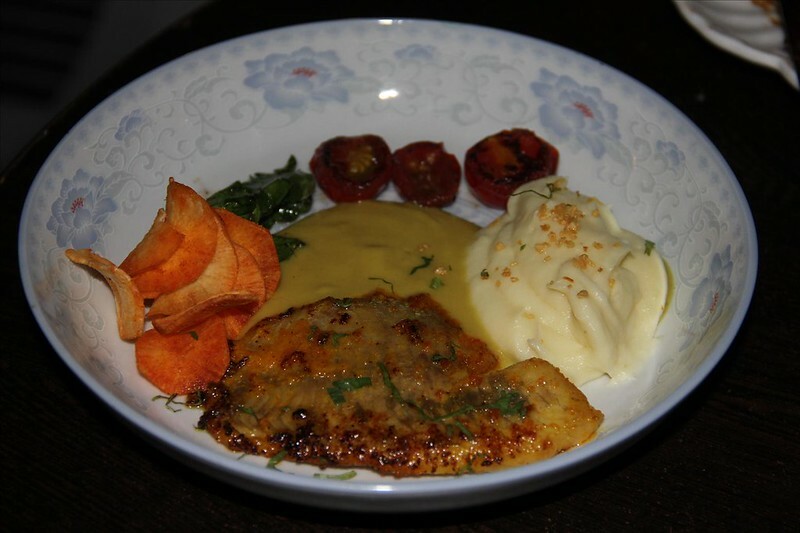 The fish itself is marinated in gunpowder, which make it drool worthy, the alleppey sauce and the garlic mashed potatoes are icings on the cake. Desserts this time were Auroville Chocolate Brownie and Haji Ali Filo Tart (Custard Apple). The latter became a favorite when we tried it for the first time, with mango. 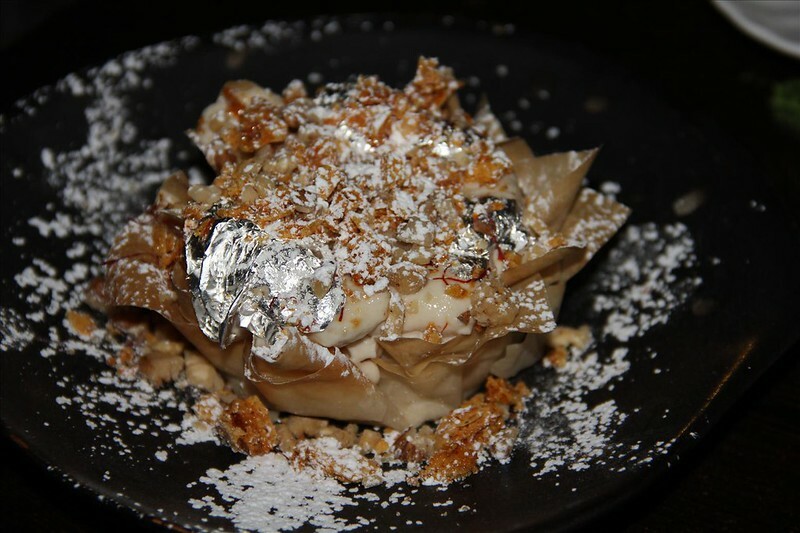 The custard apple is equally fitting the feather lite filo tart. 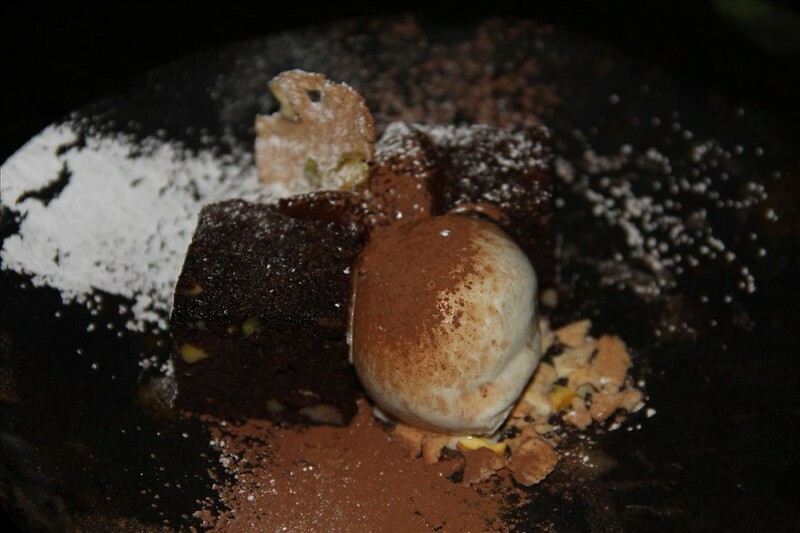 Auroville Chocolate Brownie is absolutely sinful, is served with a homemade buttermilk sorbet, which in itself is a delight. We, somehow, couldn’t make peace with the combination. We can close our eyes and put our fingers on a cocktail, and we know it will be amazing, such has been the experience. While Murraba Mule is the favorite, others are equally appealing. We got out hands on the Kala Amritsari this time, and the tradition of extraordinary cocktails continues. Made with the import variety kala amritsari plums & vodka, this one’s a mix of sour and fruity flavors and you can have it with or without the egg. Among the mocktails Cha-fee was the selected one – in house coffee and tea infusions, spices and soda – this one’s a little less on the sweetness, but packs a punch!